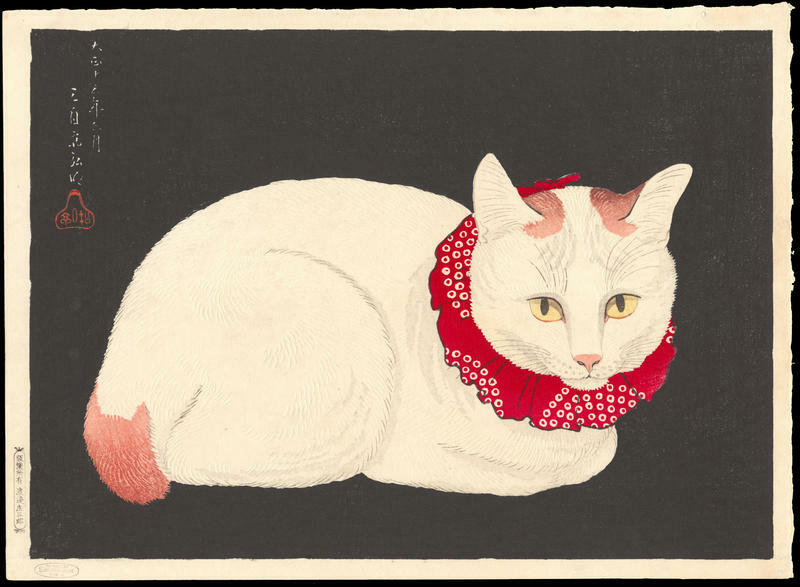 Shotei, Takahashi (1871-1945) "Tama" - Woodblock - Chinese and Japanese woodblock prints for sale, silkscreen, scrolls, watercolor, lithographs. 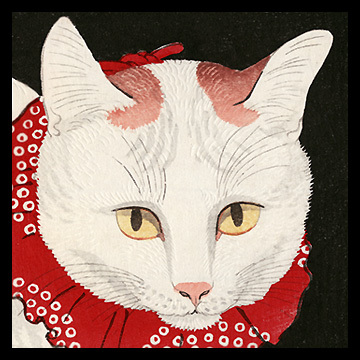 Artwork Details for Shotei, Takahashi (1871-1945) "Tama"
Notes: Published by S. Watanabe Colour Print Co.; Strong embossing. 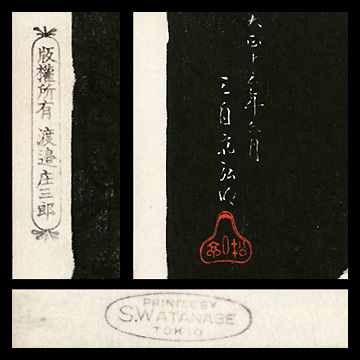 Watanabe 'C' seal in the left margin and oval Watanabe seal in the bottom margin.